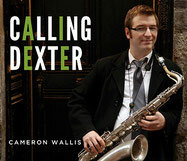 Cameron Wallis is a Canada based hard swinging saxophone player. Plays Marmaduke ML tenor and JAZZ alto. Cleave plays saxophones and flute at Legendary Count Basie Orchestra and subs for Duke Ellington Orchestra. He uses Marmaduke Alto JAZZ mouthpiece. Tony is one of the most respected Jazz saxophonist in the United Kingdom. He plays Marmaduke Alto "Super Chamber". A great pianist as well as a saxophone player. He moved to Japan from England and performs regularly in clubs in Japan. Pukl is one of the most profilic and creative saxophonists of the younger Slovene jazz generation. He performs in Europe as well as Unted States.